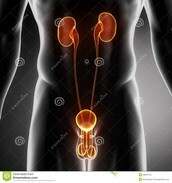 The testes (or testicles) are a pair of sperm-producing organs that maintain the health of the male reproductive system. The testes are known as gonads. Their female counterpart are the ovaries. Testosterone production in the body. This important hormone is produced mainly in the testes in males (more than 95 percent) and in the ovaries in females; however, small amounts are made in the outer layer of the adrenal glands in both sexes.